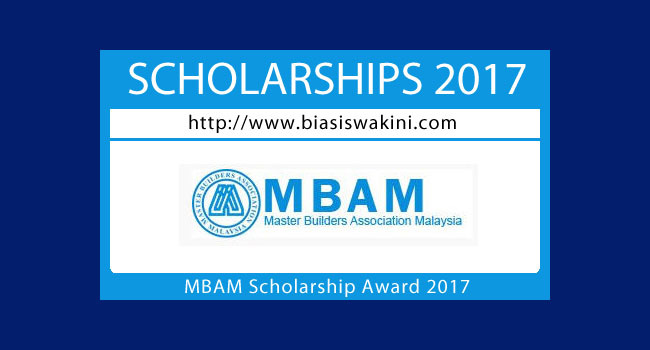 The Master Builders Association Malaysia (MBAM) Education Fund Scholarship Awards 2017 is now open for application from eligible applicants. Malaysian citizens applying for undergraduate degree courses related to the construction industgy at all local public universities and Malaysian Qualification Agency (MQA) accredited courses in private universities are eligible to apply. The application form may be downloaded at www.mbam.org.my or obtained from the MBAM Secretariat. 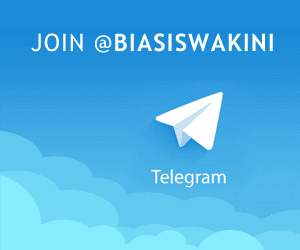 All applications must be accompanied by a copy of the applicant’s latest examination results (STPM or Matriculation or equivalent) and a stamped self-addressed envelope (17.5cm x 25cm). The completed application should be inserted into an envelope marked “MBAM Education Fund 2017” at the top left hand corner, and sent to: Executive Director. Master Builders Association Malaysia (MBAM), 2-2 (2"’ Floor) Jalan 211095, Desa Business Park, 58100 Kuala Lumpur, Wilayah Persekutuan Kuala Lumpur. 0 Komentar untuk "MBAM Scholarship Awards 2017"